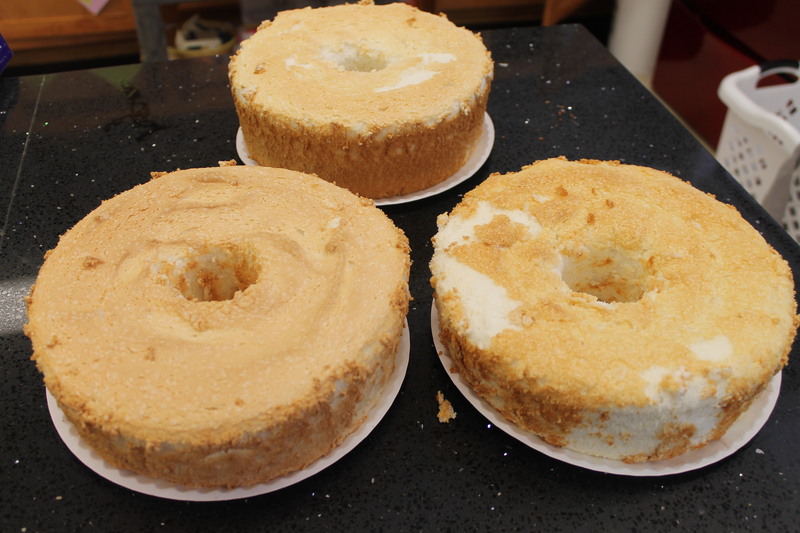 Who loves angel food or foam cake? Second period foods 2 class does. 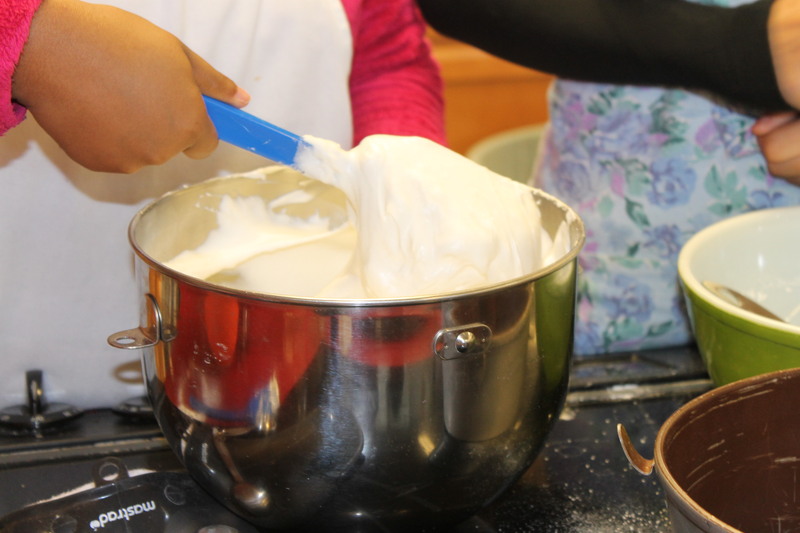 They made three homemade cakes by separating their own eggs, sifting cake flour and sugar, beating 9 egg whites and folding in the dry ingredients. Their goal was a light, full volume cake. I believe all three groups had good results. One all guy group had the highest volume cake. 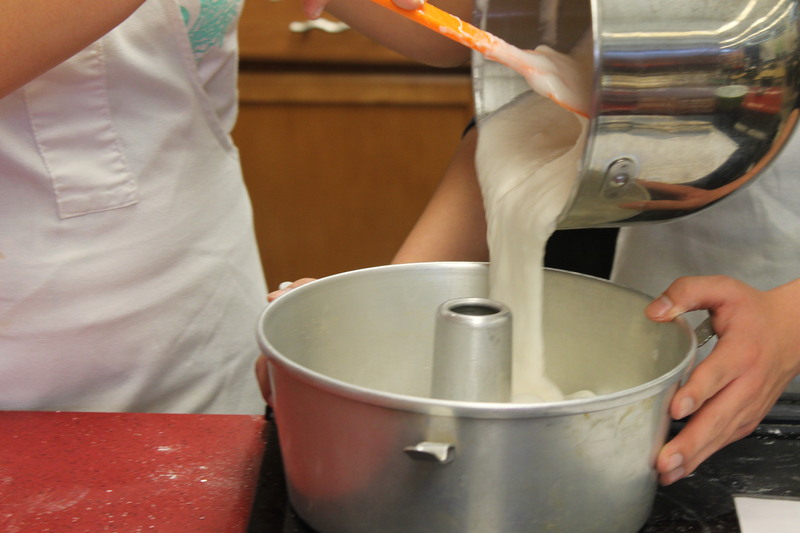 Students learned the importance of the rubber spatula. It’s a must with angel food. Finally, the cakes must be not be tapped on the counter or volume will be lost. 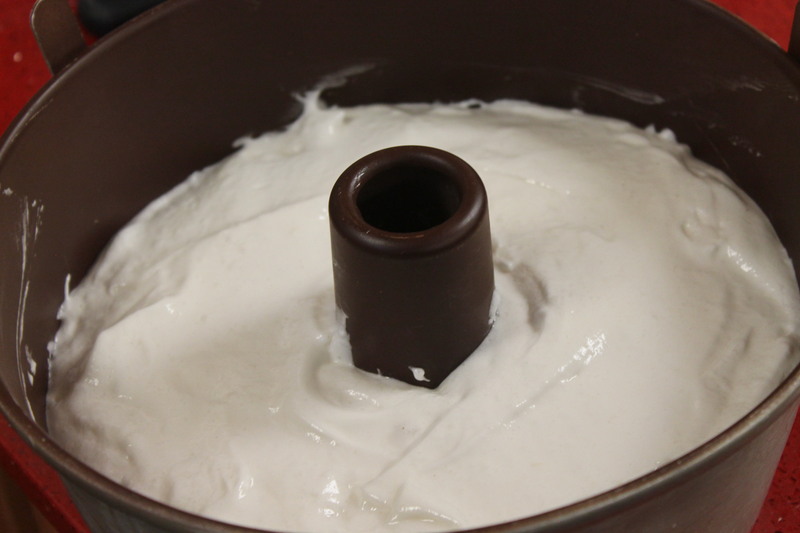 An icing spatula releases any air bubbles. 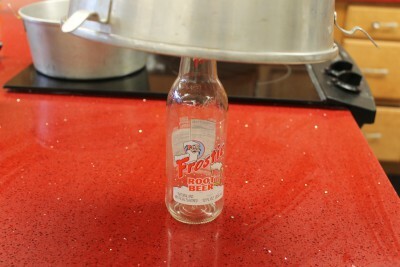 The groups learned how to hang their cake upside on a bottle to cool for an hour. The cake is done when it clings to the sides. Students ate one the very next day and we have two that we froze for our upcoming Thanksgiving feast.